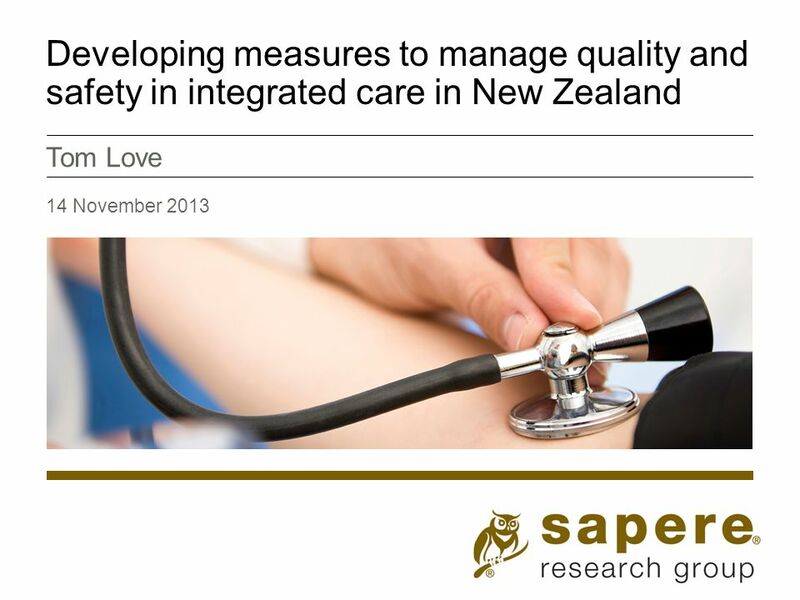 Developing measures to manage quality and safety in integrated care in New Zealand Tom Love 14 November 2013. 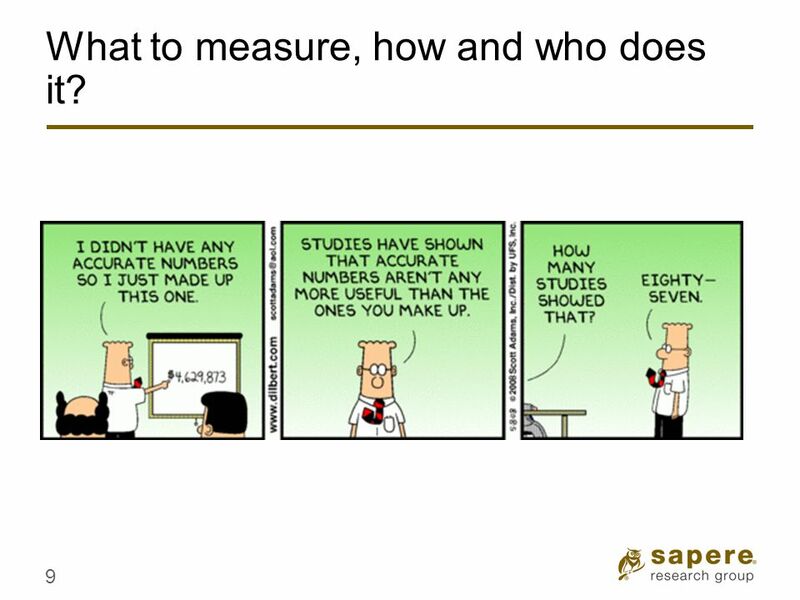 2 Why are you measuring stuff? 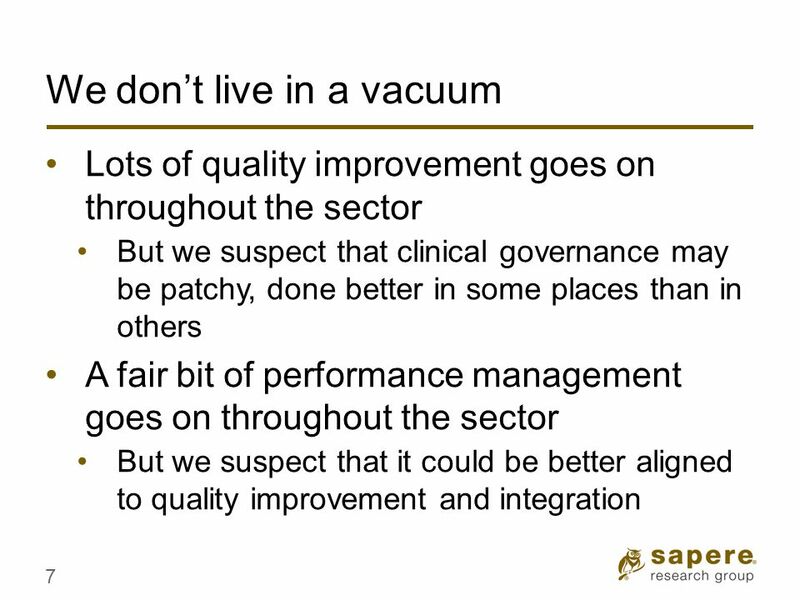 Quality improvement? 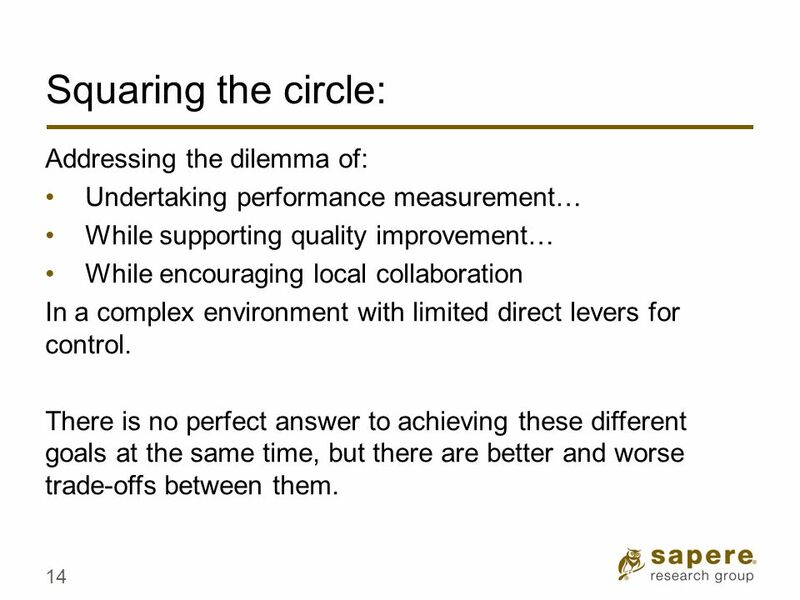 Performance management? 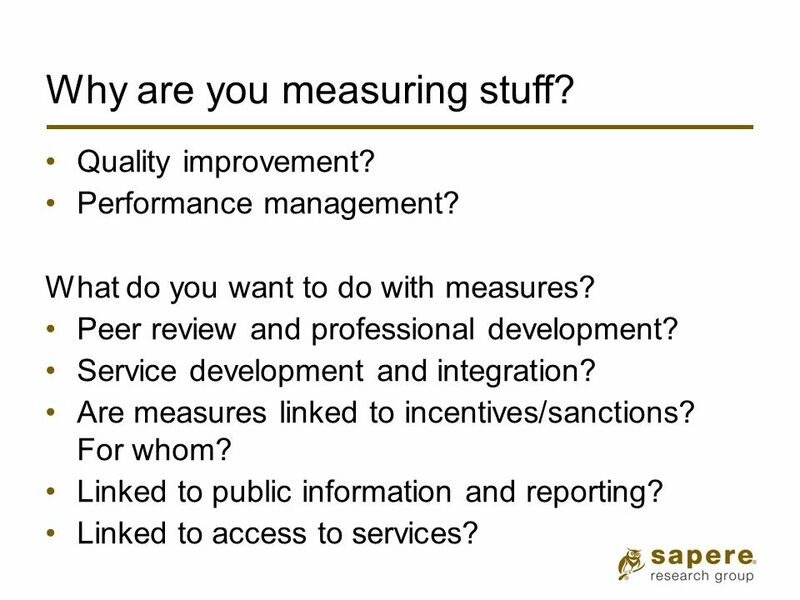 What do you want to do with measures? Peer review and professional development? 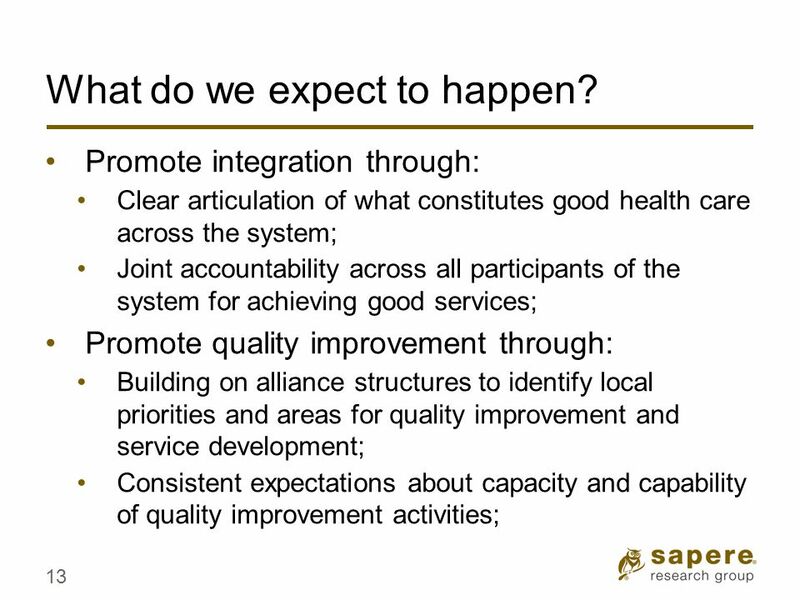 Service development and integration? 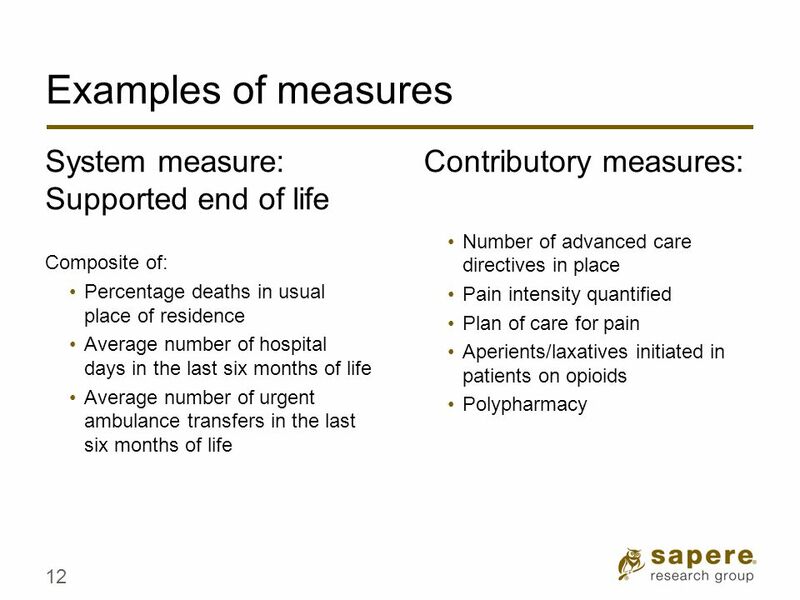 Are measures linked to incentives/sanctions? For whom? Linked to public information and reporting? Linked to access to services? 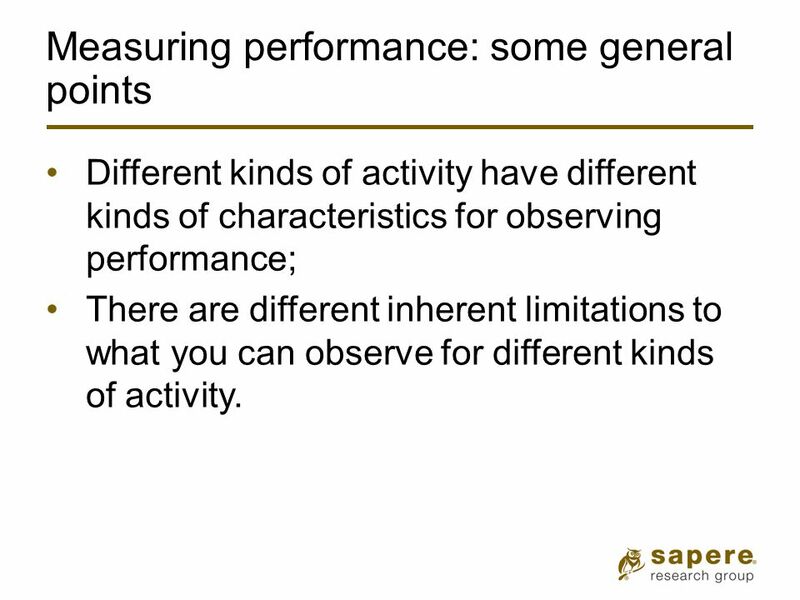 3 Measuring performance: some general points Different kinds of activity have different kinds of characteristics for observing performance; There are different inherent limitations to what you can observe for different kinds of activity. 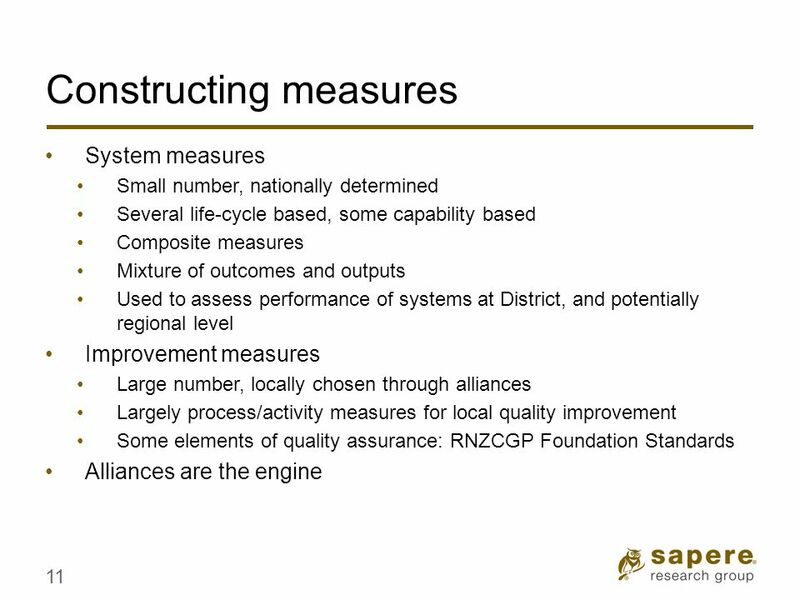 Download ppt "Developing measures to manage quality and safety in integrated care in New Zealand Tom Love 14 November 2013." 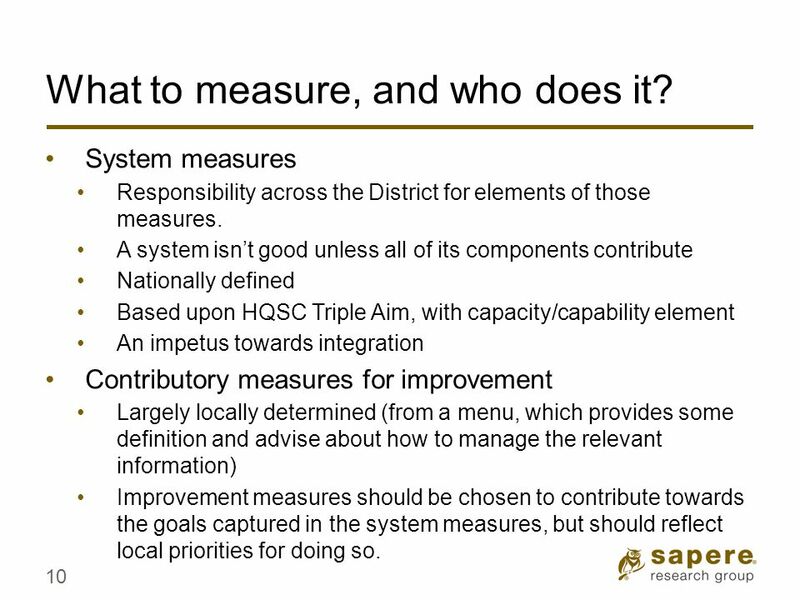 Developing Indicators to measure progress of implementation of HFA An Indian Perspective P.G.Dhar Chakrabarti Executive Director National Institute of. Strategic Commissioning Ian Tibbles & Neil Wilson 29 th January, 2004. 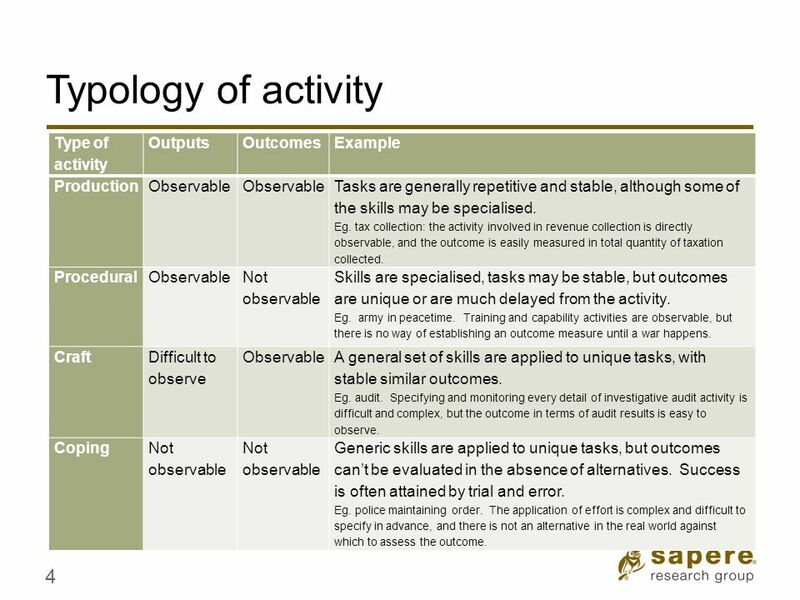 Producing Quality Evidence in a Well Organised Portfolio Doc Ref: 20/04/09-portfolio-quality-evidence. SMART OBJECTIVES Healthy Kids Learn Better Institute. 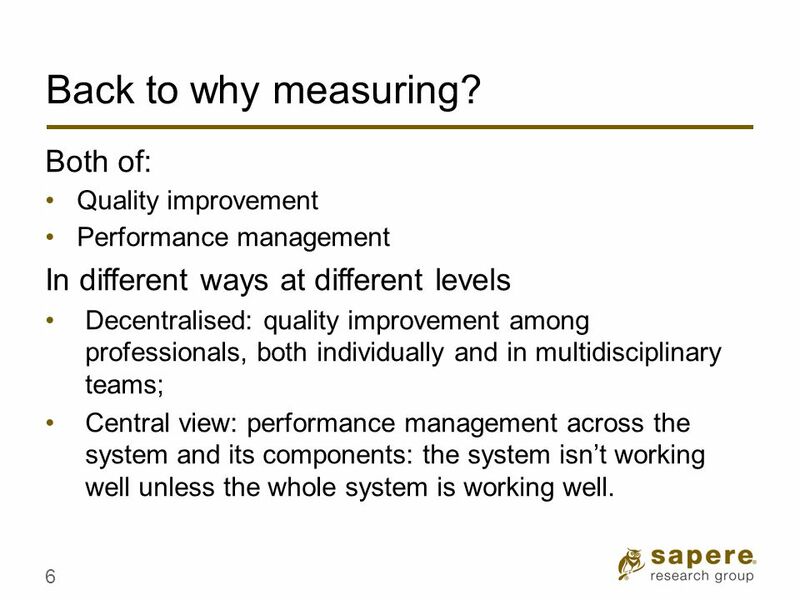 Why and How should we focus on Results? 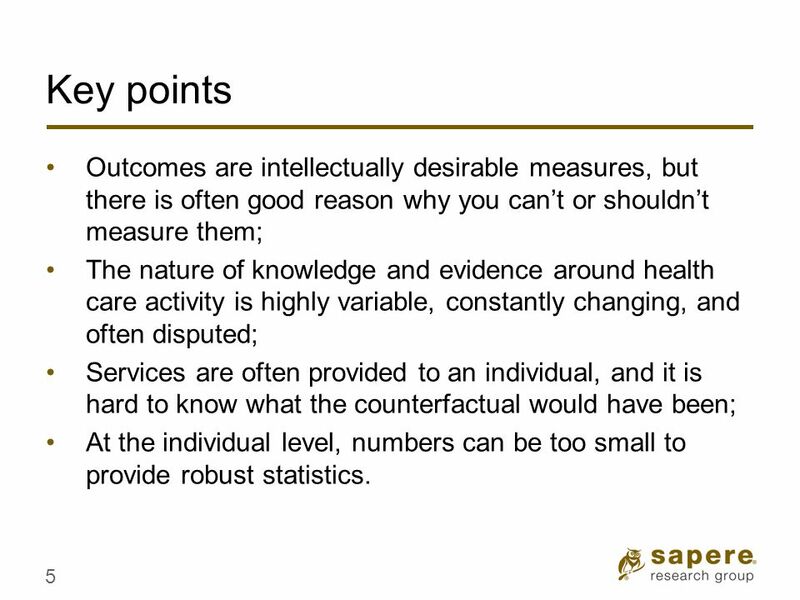 Susan Stout, Manager Results Secretariat OPCS November, 2006. Using New Technologies and Approaches Pamela Bigart World Bank. Transforming Health Care in Ontario HLA#2 Meeting May 17, 2013. Ms Denielle Beardmore, Director of Nursing Clinical Education and Practice Development Ballarat Health Services, Ballarat Dr Debra Schulz, Director Allied. Presentation to SA Government HR Directors on Public Sector Act 3 September 2009 Warren McCann Commissioner for Public Employment Office for Ethical Standards. 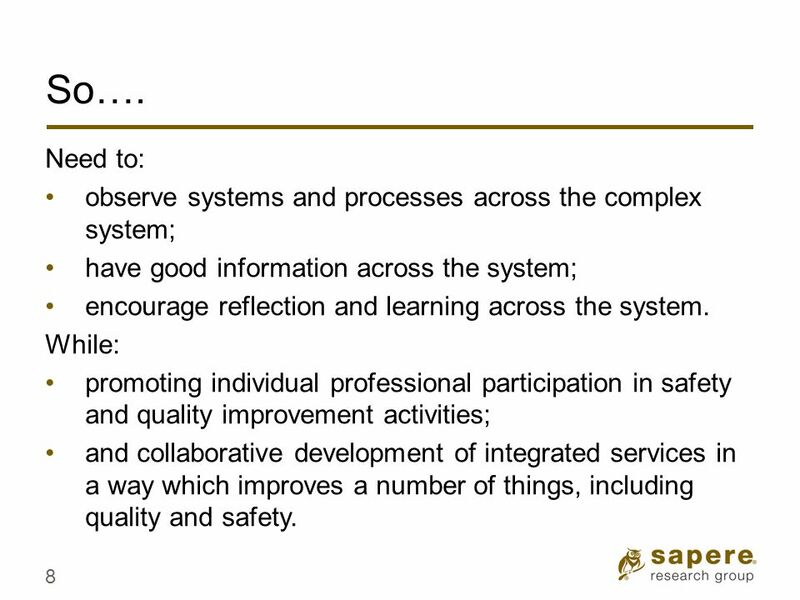 1 Leading Change through Strategic Planning Ralph J. Jasparro, Ph.D.
Unit 1: Health IT Teams Examples and Characteristics Component 17/ Unit 11 Health IT Workforce Curriculum Version 1.0/Fall 2010.